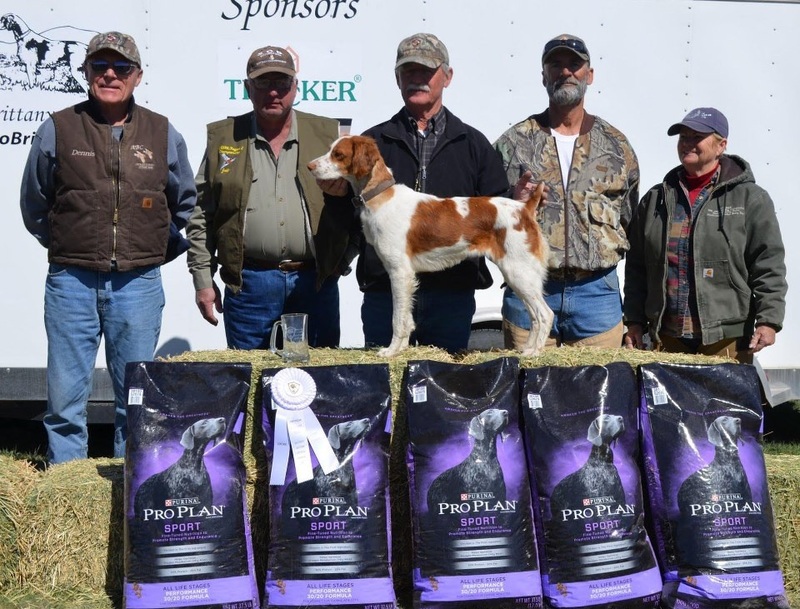 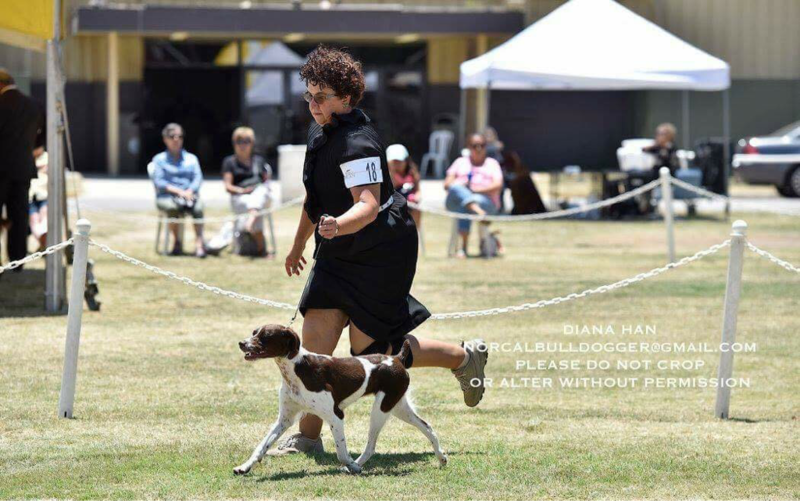 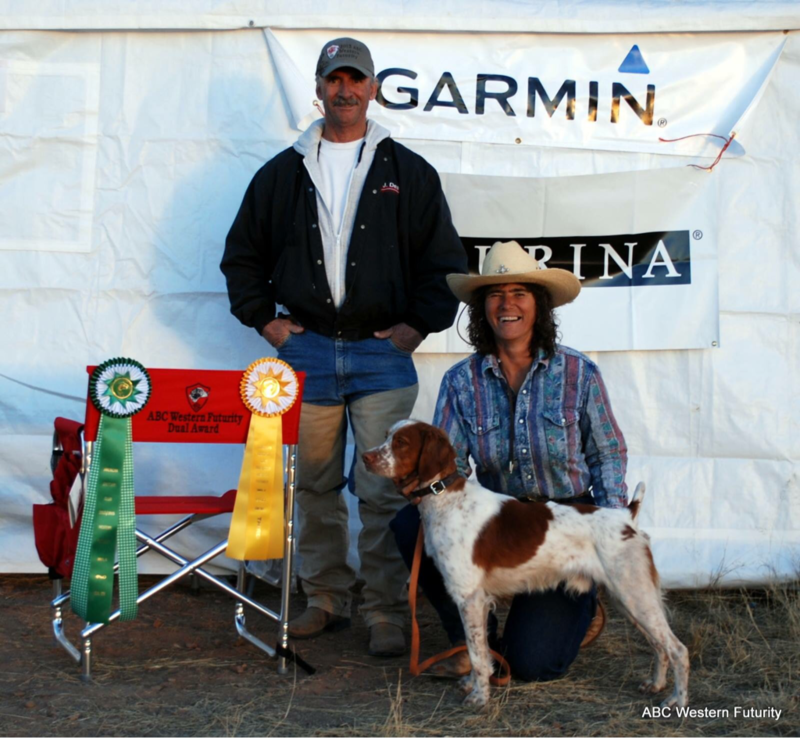 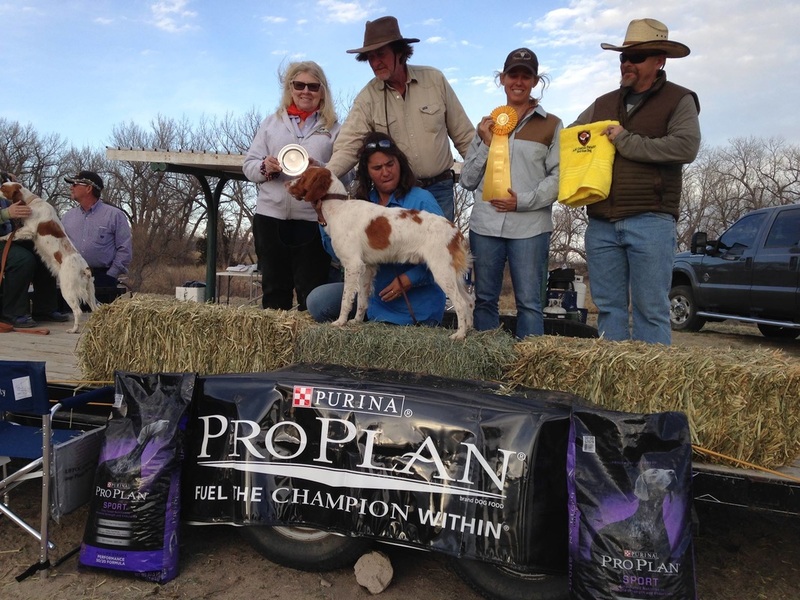 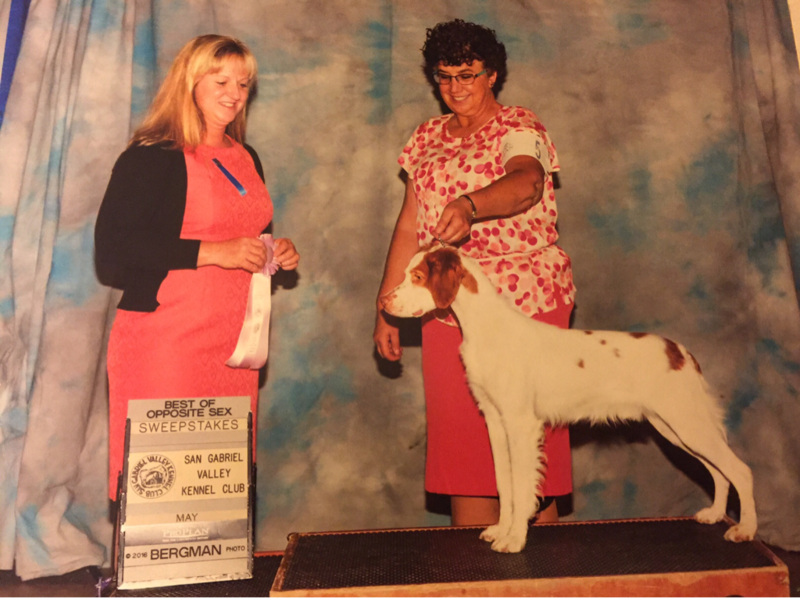 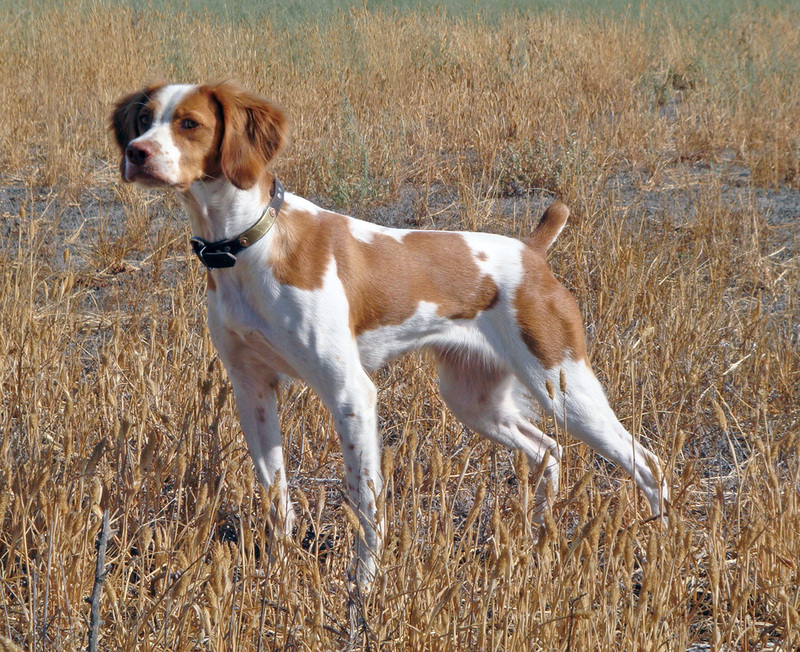 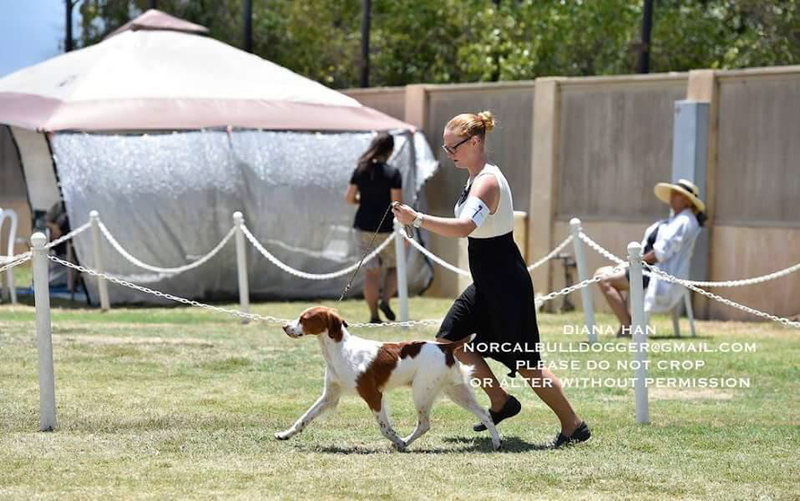 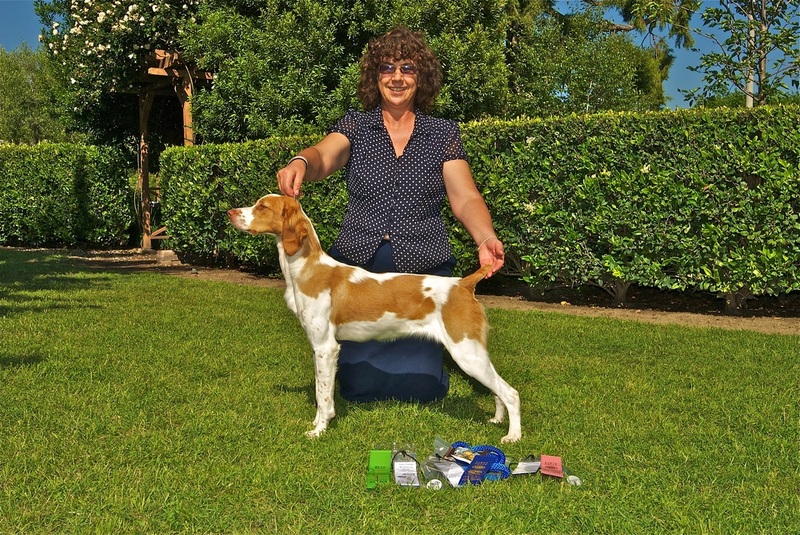 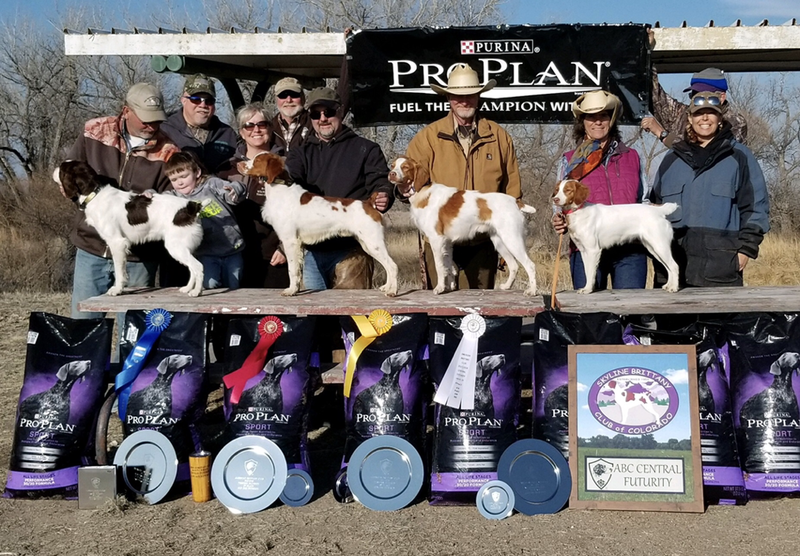 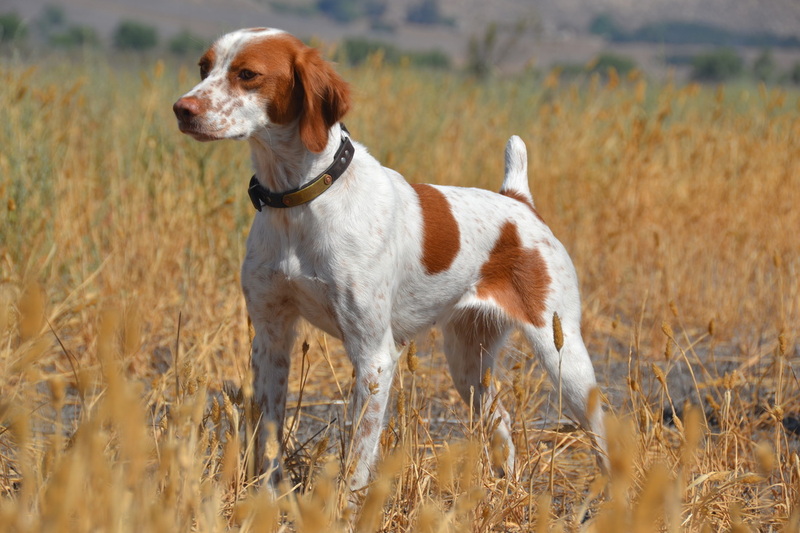 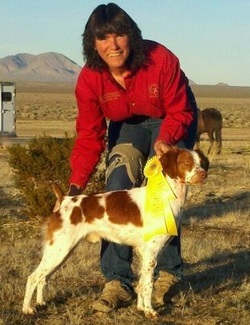 K Nine's High Roller owned by Tom Temple 2015 Western Dual Dog Award winner 3 place money male Handled by Robin Tomasi 3 place in the gundog stake handled by Arlette Hennessey . 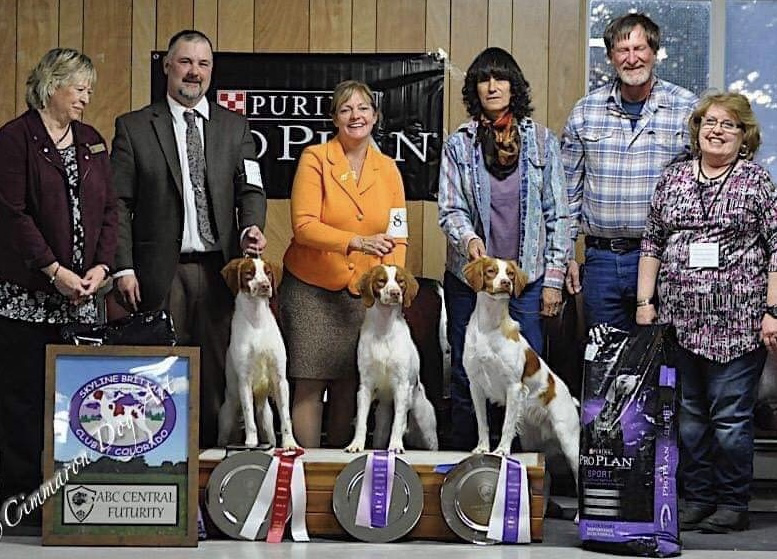 Runner-Up—K NINE’S TUCALOTA CHANCE, 1616438, male, by Maxwell’s Blew By You—K Nine’s Peek A Bo. 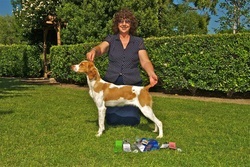 Arlette Hennessey & Ed Mayhew, owners; Ed Mayhew, handler. 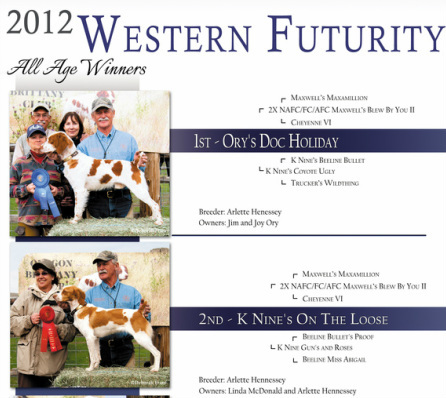 Click on 2012 Western Futurity to go to the American Brittany Club Page and learn more about the A.B.C. Ozzy got his first 2pts getting winners dog Doc was reserve Winners dog Lucy made her showing Got to love puppys in the show ring. 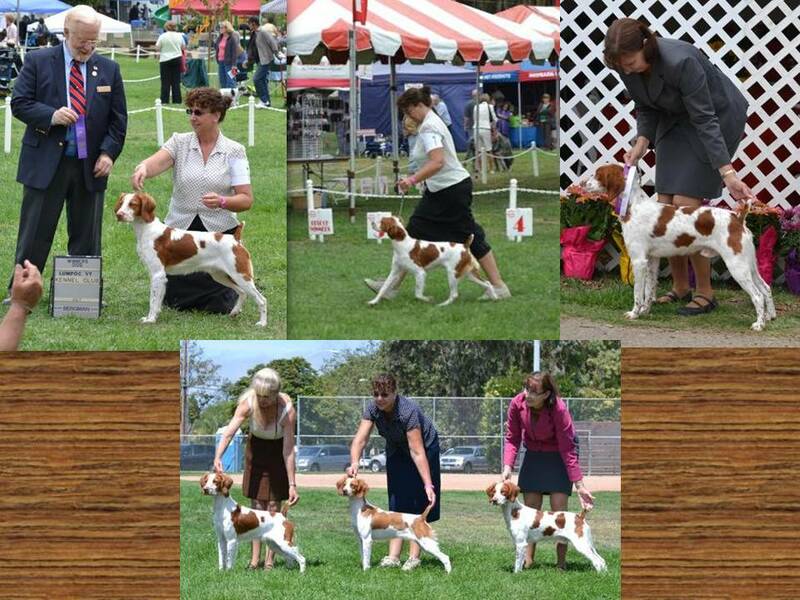 Thank you Linda McDonald and Joy for taking these very field bred pups into the show ring. 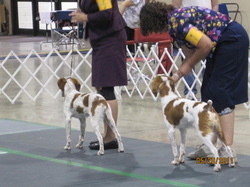 Hope they shine in the field for you. 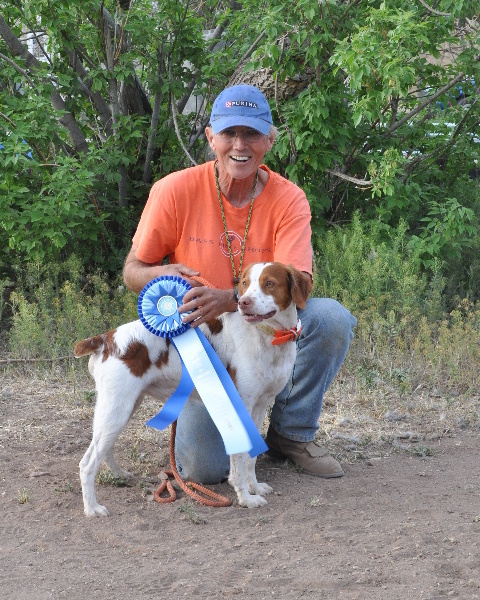 K Nine's Beau Buford got a Prize I (112 pts, perfect score) on the NAVHDA Natural Ability test.